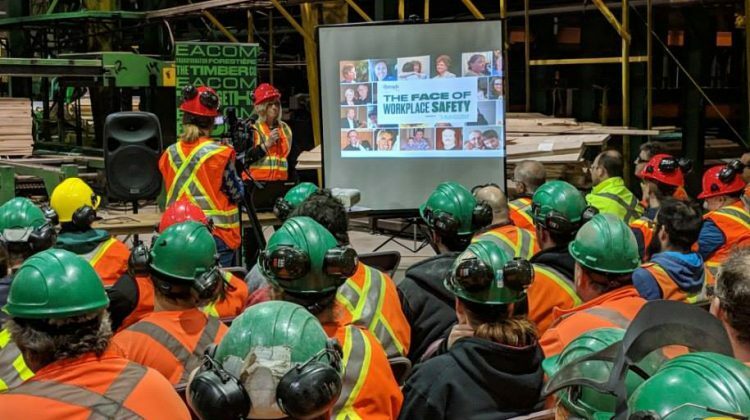 Joanne Wade of Manitoulin Island was the keynote speaker at the Threads of Life presentation at EACOM Timber operations in Nairn Centre on Tuesday. 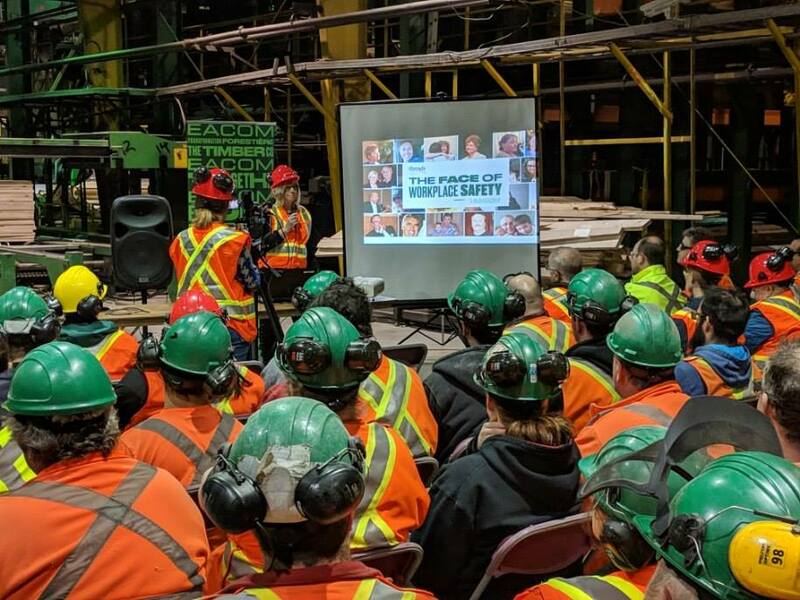 Photo provided by EACOM Timber Corp.
EACOM Timber workers in Nairn Centre stopped work to listen to a Manitoulin Island woman about her personal loss and how the workplace tragedy changed her life. Joanne Wade’s son, Brent, was 22 when he was killed on November 9th, 1999 in Acton, Ontario. The dump truck he was driving was hit by a train at a poorly marked railway crossing. 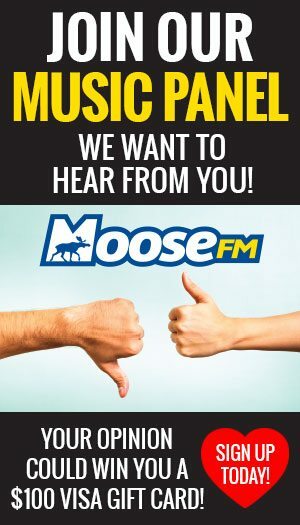 Wade is a member of the Threads of Life, which is currently working with more than 2,800 family members from across Canada who have been affected by a workplace tragedy. The speaking tour will be in Timmins on Thursday.